The Red Fox (Vulpes vulpes) is a widely-distributed canid species found throughout many regions of the northern hemisphere. It was also introduced to Australia by European settlers and is now an abundant pest species which often preys on vulnerable native birds and mammals. This species is highly adaptable and is able to find and catch prey in all kinds of habitats. 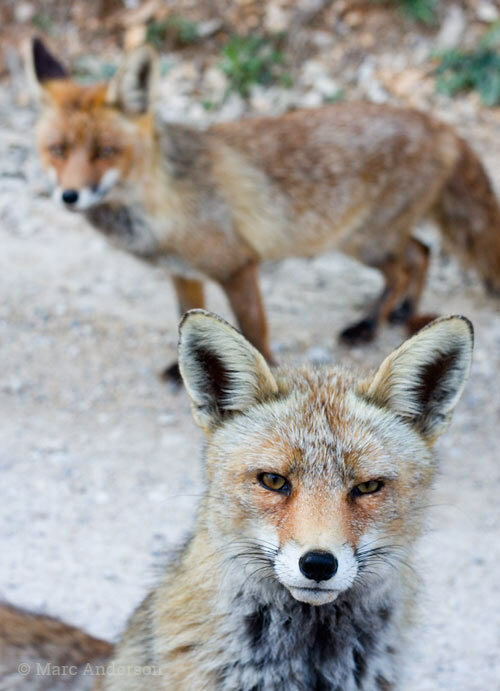 Red Foxes make a variety of different sounds including barks, screams, howls, squeals and ‘gekkering’. Recent studies have identified 12 different sounds produced by adults and 8 by kits. Two of the most commonly-heard calls are the ‘bark’ & ‘scream’, perhaps because these are the loudest and can be heard for some distance. Another common call is the ‘wow wow wow’ contact call, which sounds more like a bird to me than a fox! You can hear examples of a couple of these Red Fox sounds below. MX04 This first sample is an example of the typical hoarse ‘screams’ of the Red Fox. 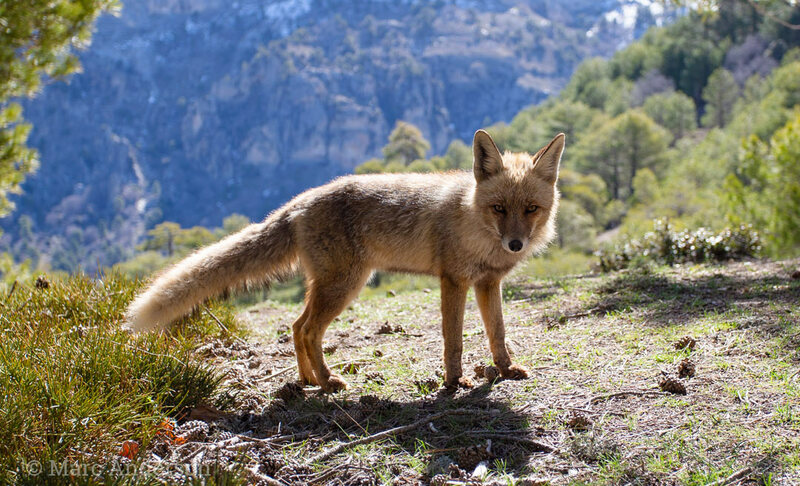 Recorded in Cazorla National Park, Spain. DH01 This sample features one the unusual bird-like wow-wow-wow contact call of the Red Fox. This cut was recorded at night in Dharug National Park, NSW, Australia.